There’s a lot of hype and opinions surrounding this topic, most of which is misleading and untrue. I’m going to cut through the hype, debunk a couple lies, and help you choose the best tippet material for you. *Note, if you want to cut to the chase, read the last two paragraphs. 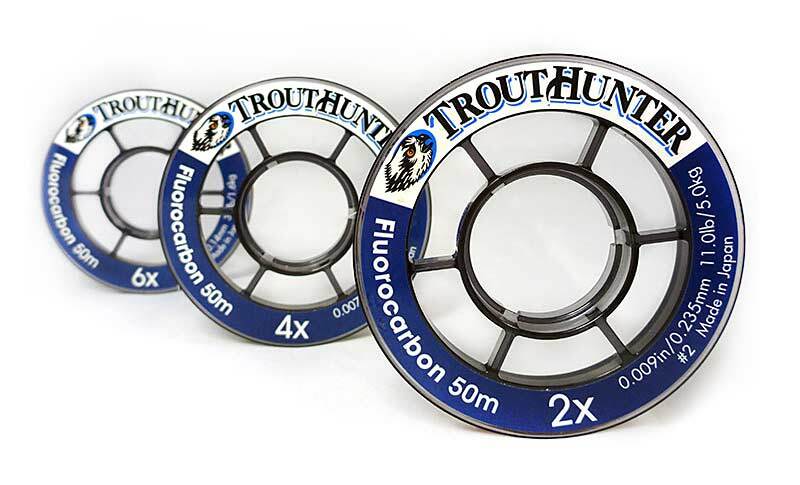 Monofilament has been the go to tippet for many years. It’s cheap and readily available, but much like everything else in life; it’s not all made equal. You get what you’re paying for, in this case, you’re paying for strength. A good quality monofilament (mono) tippet has the lowest diameter with the highest breaking strain. A good example would be Maxima vs. Rio Powerflex. Both are really strong, but Maxima’s 6lb is equivalent to Rio’s 10lb as far as diameter goes. Now, if you ask me that’s a no brainer, but keep in mind that certain brands have their advantages despite their downfalls. Let me explain: Maxima is a very common option amongst those who prefer to build their own tapered leaders. It’s cheap, typically comes in spools of 100m rather than 25m or 50m, and for the guys who get technical and boil their leaders for extra suppleness, it is by far the best mono available for that purpose. So, despite it being very thick in relation to its tensile strength, it’s still a great option in its own right. With all that said, let me explain what to look out for when buying mono. Apart from the obvious strength to diameter point, we can take that a step further and look at what and where you’ll be using the tippet to help you choose the best option. Most mono’s are inherently quite supply, proving rather advantageous when fishing dry flies in a river as your fly will drift more naturally with the current. Apart from that, it’s generally more shock resistant as it’s able to stretch on impact. The disadvantage comes in when fishing Stillwaters, particularly multi-fly rigs. I’ve found that stiffer tippet results in less tangles, especially when casting in windy situations, and is far less likely to fold or twist on itself. The other disadvantage with very supple mono, which is a deal breaker for me, is knot strength. This is however twofold. A stiffer mono has a higher base knot strength than fluoro, which is definitely something worth noting; but more supple monos leave your knots vulnerable to slipping or pulling, as we would say. This is anything but ideal in a fishing situation. So, if you’re going to go for mono and plan on fishing dries on rivers, I’d suggest a more supple mono like the new Trout Hunter. 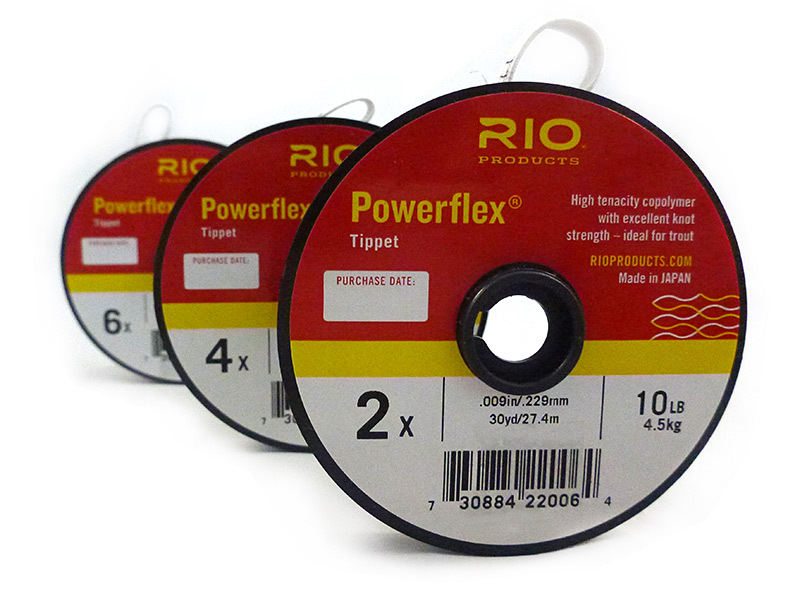 If you plan on fishing Stillwaters, I’d recommend a stiffer mono like Rio Powerflex. Now, let’s look at Fluorocarbon. The biggest misconception of Fluoro is that it’s invisible to fish. If that were true we’d be fishing 2x on our size 16 dry flies. But with that said, this argument isn’t complete tripe. Fluoro is indeed far less visible than mono because it’s light refractive index is closer to that of water. That’s a fancy way of saying that when light shines through water, roughly the same amount of light that passes through water, passes through fluoro, making it less detectable to fish. This is obviously a major plus. Apart from that, 3x fluoro is stronger than 3x mono… until you put a knot in it. As mentioned earlier, the one major advantage mono has over fluoro is its knot strength. If you don’t lubricate and seat knots well when using fluoro, you’re going to break off at the knot every time. So, if your eyesight isn’t what it used to be i.e. you’re as blind as a bat, or you’ve never been good at knots, mono might be a more sensible option. 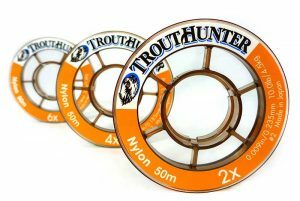 But once again, this type of tippet will perform better in certain situations, so let’s identify if fluoro is worth the extra cash. If you plan on Nymphing, particularly European styled Nymphing, fluoro is definitely a better option as it sinks faster (mono tends to float), on top of that, fluoro is by nature more abrasion resistant which is obviously a huge plus when fishing in and amongst the gnarly rocks you typically find in the Orange and Vaal River. It’s stiffer, which as explained is more suitable for Stillwater fishing. If you plan on fishing a dry fly on a lake or a dam, I’d definitely look at fluoro. If you’re going to fish Sterkfontein, it’s a must – no ifs, ands or buts there. Remember, if fluoro tends to sink faster than mono, having your tippet sink when fishing a dry fly on a body of water that is in essence not moving, is absolutely imperative to your success as the fish aren’t going to refuse your fly because they saw the tippet floating on the surface. If you find that fluoro is more suitable for your kind of fishing, definitely look at buying either Trout Hunter or Hardy. Both come in 50m spools and are in general much better quality than just about any other option available on the market. To sum it up, if you plan on fishing small dry flies on a river or just in general aren’t good at knots, mono is for you. If you Euro nymph, fish dries on Stillwaters or just Stillwaters in general, fluoro is the way forward. In my opinion, fluorocarbon is in general a better option. It’s more versatile, thinner, and stronger. I think the real argument here is whether or not you’re willing to pay R400 for 50m of fluoro vs. R160 for 50m of mono. The choice is yours.